The disaster agency spokesperson claimed the government was set to declare a state of emergency even as Indonesian president Joko Widodo said the military was being called in to help search-and-rescue teams. Nearly 400 people were killed after a powerful earthquake of magnitude 7.5 triggered a tsunami that struck the Indonesian island of Sulawesi. 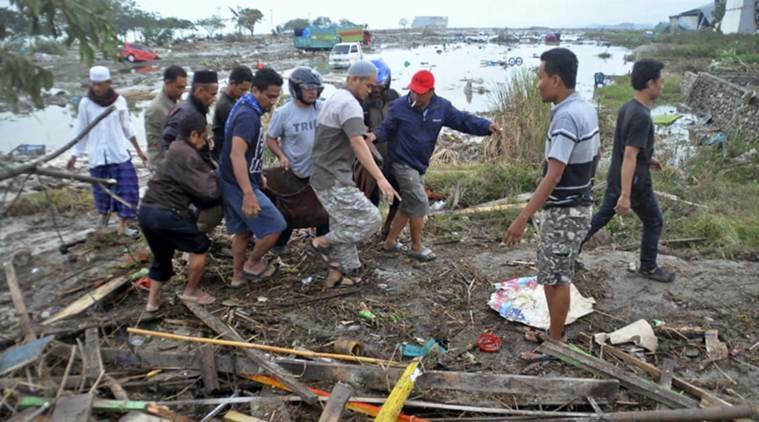 The worst affected was the city of Palu, where preparations for a beach festival had been underway when waves as high as 18 feet smashed ashore just on dusk, sweeping many to their death and destroying anything in their path. The national disaster agency said the toll was likely to rise. National Agency for Disaster Management (BNPB) spokesperson Sutopo Purwo Nugroho said 540 people were injured and 29 were still missing. Palu, a tourist hotspot dotted with white beaches and popular for water sports, was reduced to rubble as a sea of debris from collapsed buildings and shopping centres littered the city of 3,80,000 people. A mosque heavily damaged by the quake was half submerged and the main highway to Palu was cut off due to a landslide. Even as strong aftershocks continued to rock Palu on Saturday, rescue workers were struggling to reach certain affected areas in the nearby city of Donggala and the town of Mamuju, which were also severely affected by the tsunami, due to damaged roads and disrupted communication lines. Nugroho said the tsunami had struck with a speed of 800 kmph, stressing that the most important task was to restore power and communications to the region. The disaster agency spokesperson claimed the government was set to declare a state of emergency even as Indonesian president Joko Widodo said the military was being called in to help search-and-rescue teams reach the victims and find bodies. 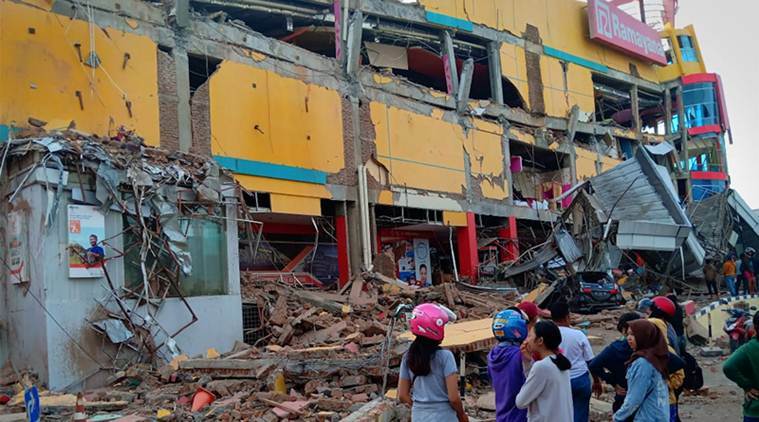 People living hundreds of kilometres from the epicentre reported feeling the massive jolt, which came hours after a smaller quake killed at least one person in Sulawesi. The tremor was also felt in the far south of the island in its largest city Makassar and on neighbouring Kalimantan in Borneo island. While hospitals were running at full capacity, tending to the injured, many were treated in the open. Dozens of injured people were also administered aid at makeshift medical tents, TV images showed. Photos showed bodies being lined up along the street on Saturday, some in bags and some with their faces covered with clothes. Meanwhile, Palu airport reopened on Saturday afternoon after being shut down as its runway and air traffic control tower was damaged in the quake, authorities said. UN spokesman Stephane Dujarric said agency officials were in contact with Indonesian authorities and “stand ready to provide support as required”. Last month, Indonesia, which is prone to earthquakes because of its location on the “Ring of Fire”, was jolted by a powerful quake on the island of Lombok, killing 505 people. Another series of strong quakes in mid-August killed at least a dozen on Lombok and neighbouring Sumbawa island. However, the worst of the lot occurred in December 2004, when an earthquake measuring 9.1 off Sumatra island in western Indonesia triggered a tsunami that killed 2,30,000 people in a dozen countries.